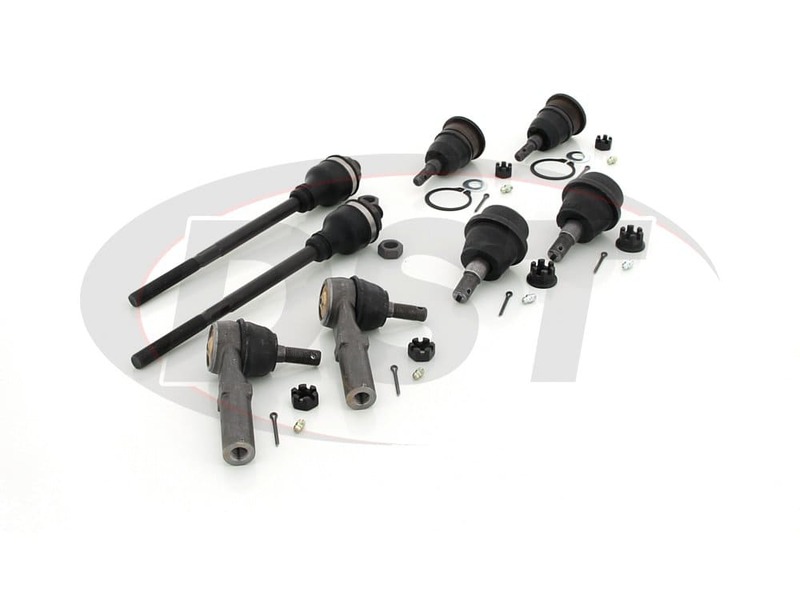 This Complete Front End Rebuild Kit will replace your worn OE (Original Equipment) steering and suspension parts with Moog Front End Steering Components including the Front Upper and Lower Ball Joints and the Inner and Outer Tie Rod Ends. 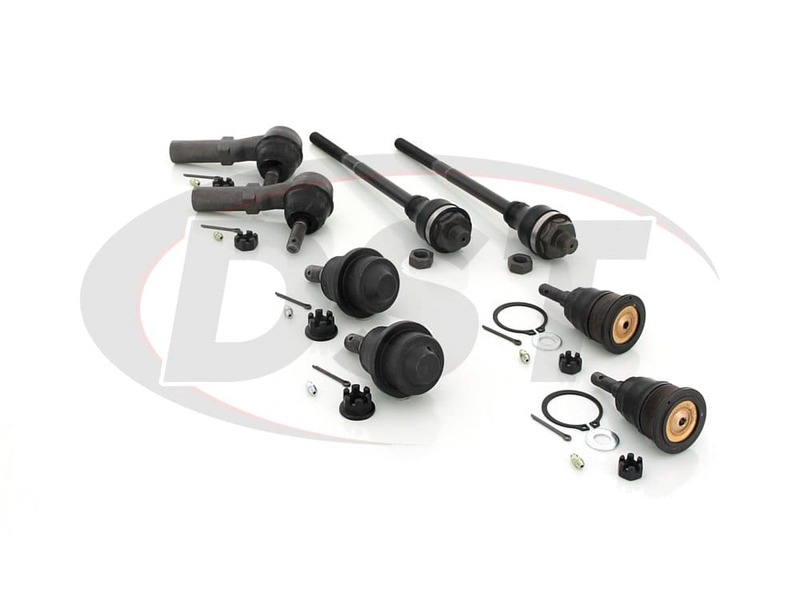 If your Silverado 2500HD or 4WD Sierra 3500 is feeling loose in the steering wheel, shaking, or wandering this kit will tighten up your steering and keep you going straight. Whether it's a weekly commute to a remote oil rig in Odessa or taking the kids to the river on the weekend you don't want to be running on worn out steering components. 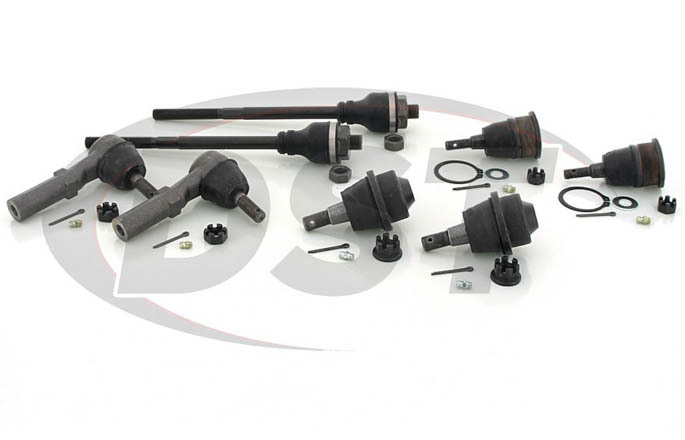 The parts in this front suspension rebuild kit are designed to fix design flaws in the original parts on your Chevy or GMC and will outlast many of the other options out there. If you carry a lot of weight in your truck, whether it's pulling a cattle trailer or a bed full of lumber, your front end suspension parts can take a beating. 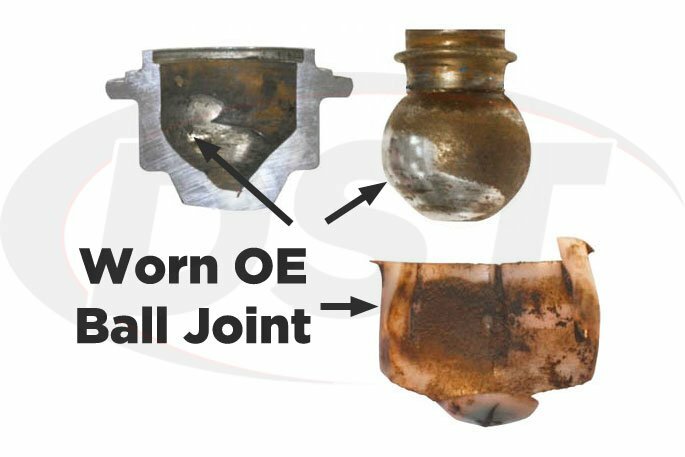 When your ball joints wear out and become lose your alignment angles can change and cause uneven tire wear meaning you'll probably need to replace them early. Loose tie rod ends can make your steering sluggish and less responsive which isn't good when you're trying to make a quick left-hand turn off of Hwy 377. 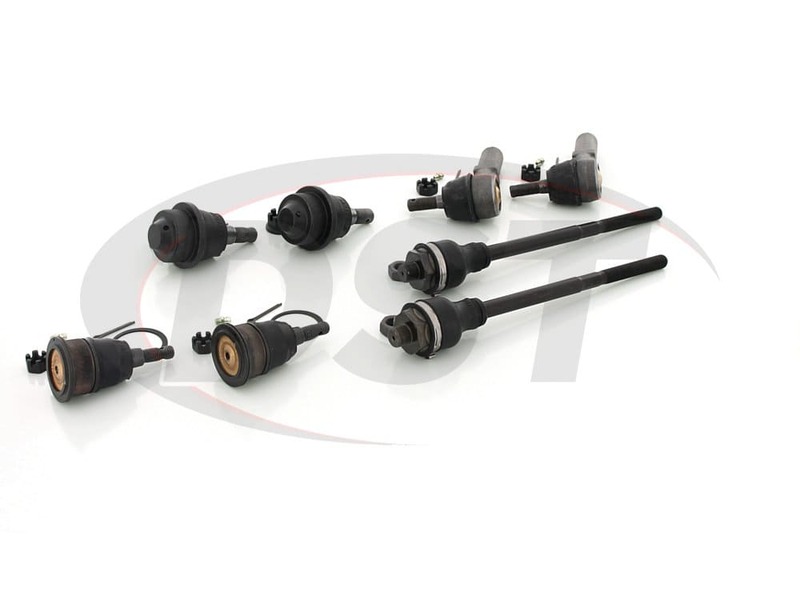 The OE front inner tie rod on these vehicles has known issues that can cause failure, leading to loose steering and misalignment. 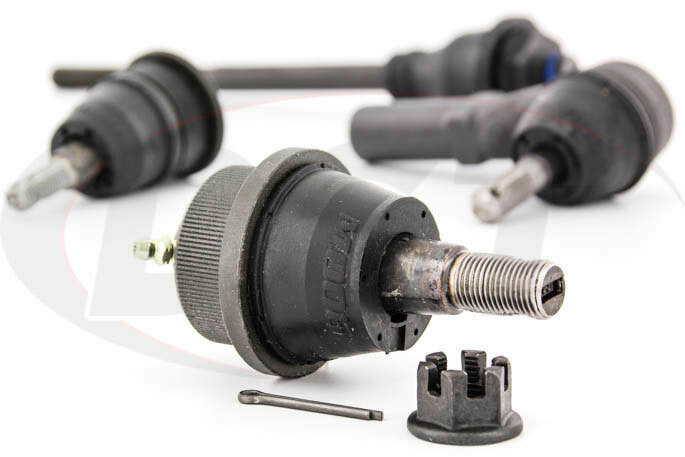 The OE front lower ball joint uses a plastic bearing that can wear out quickly with heavy-duty use, leaving you with steering wander and inconsistent front tire alignment. When these parts let you down you could get more from the OE manufacturer, but they probably have the same flaws that failed you in the first place. When one of these parts starts to go the others probably are not far behind, so when you replace them you want to make sure you're installing parts that will last. This complete front end kit will replace those worn and beaten steering and suspension components in your Chevy or GMC with Moog Problem Solver parts that contain features like grease zerks for easy maintenance, their patented gusher bearing, and heat-treated full ball studs. 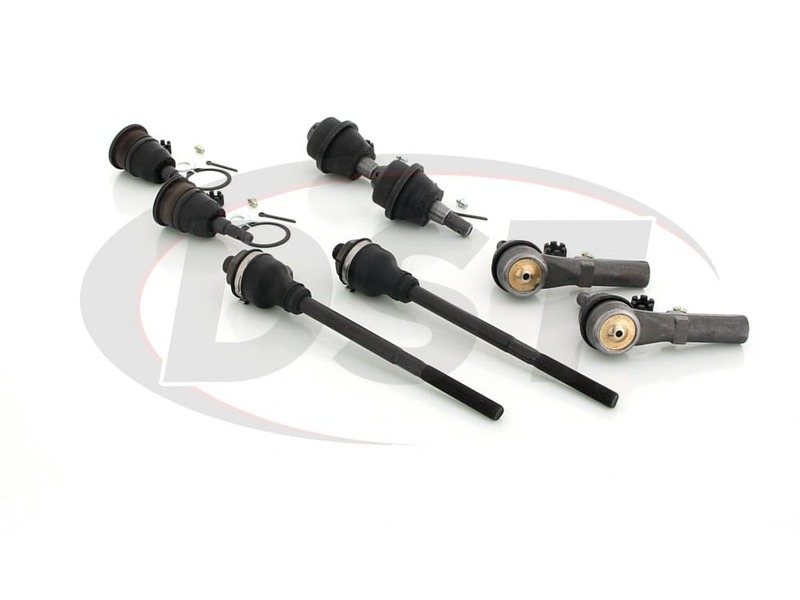 These improved ball joints and tie rod ends are more suited for the kind of heavy duty work your Silverado or Sierra goes through on a daily basis. You will get more miles from these Moog parts than you would going with an OE replacement or even other aftermarket parts. 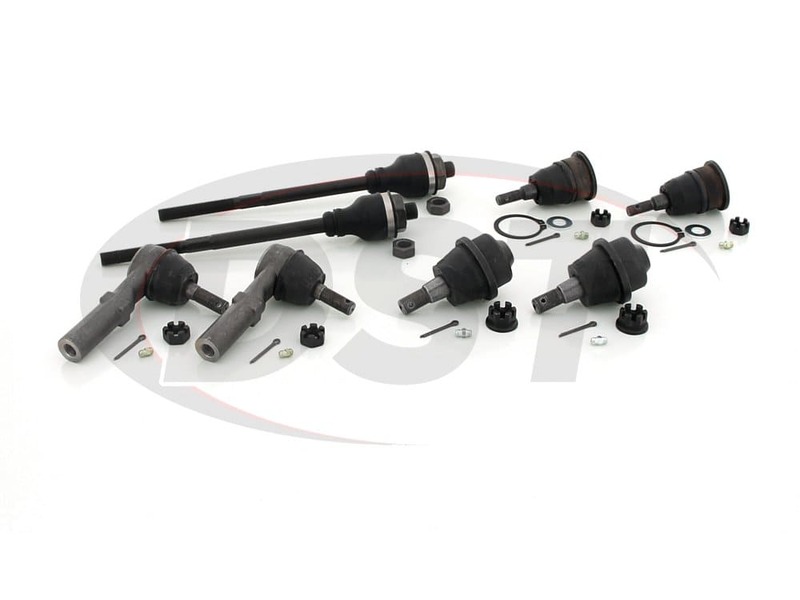 We've taken the guess work out of finding the parts you need to replace your front end steering components, so you don't have to search through catalogs and hope that you're getting the right parts for your Chevy or GMC. This kit also comes at a discount compared to buying all the parts individually and you will recieve Free Shipping if you're in the Continential United States. We also pride ourselves on customer service and work with our customers on an individual basis with whatever issue might come up. starstarstarstarstar" Everything was nice and neat. All the parts were there and the suspension is nice and tight now. " I was very happy with all the parts and the quality of them as well. They arrived in a timely fashion. All the parts fit nicely. Kind of a pain to remove the old ones. Lol. Did the full rebuild and now Im happy knowing all my steering components are going to last a long time while towing. Was a little time-consuming in the cold but not bad. starstarstarstarstar" Parts looked of very good quality "
Compared to the parts I removed from my vehicle, the Moog parts were by far superior. Installation was easy and I really liked that the grease zerts were locked in a good location. starstarstarstarstar" Every thing went in fine. " What kind of warranty does the moog-packagedeal068 come with? The parts in the moog-packagedeal068 will come with a Limited life time warranty, covering manufacture defects. This warranty does not cover dust boot damage. 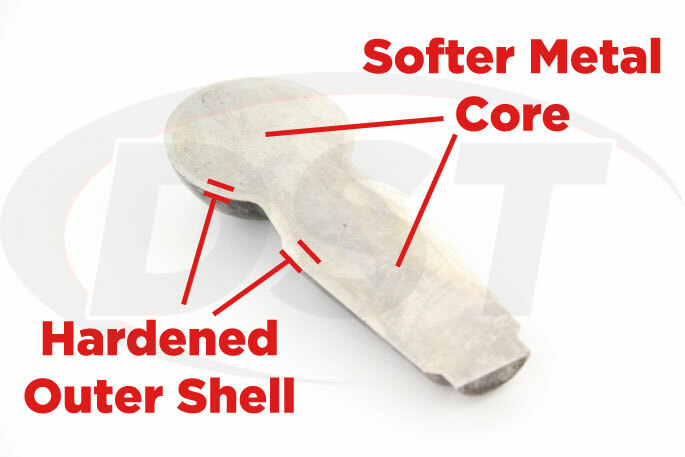 If the parts are purchased off our site we will handle the warranty in house. Will the packagedeal068 work on my truck if I have a 6 inch suspension lift? packagedeal068 are OEM replacement parts, so if you now have aftermarket parts due to your lift, these parts will not fit your truck. Will k6696 and k6693 fit the control arms on my 2001 Chevy 2500HD 4 Wheel Drive? 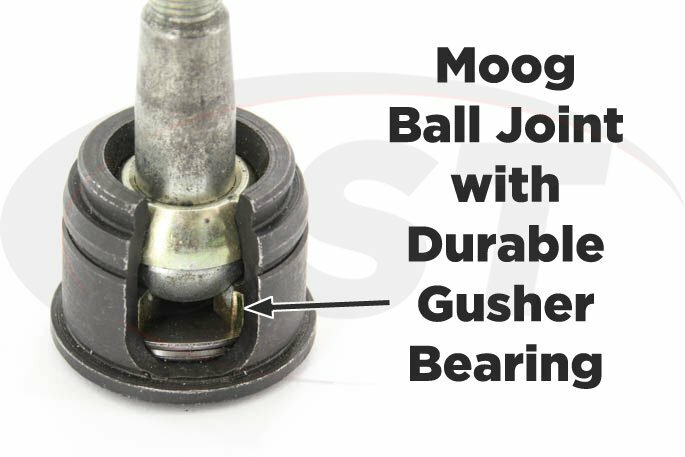 Yes, Part Number moog-k6696, moog-k6693 will fit the factory arms on your 2001 Chevy 2500HD 4X4. Does this kit work with a lifted truck? Lift kit is 6 inches. 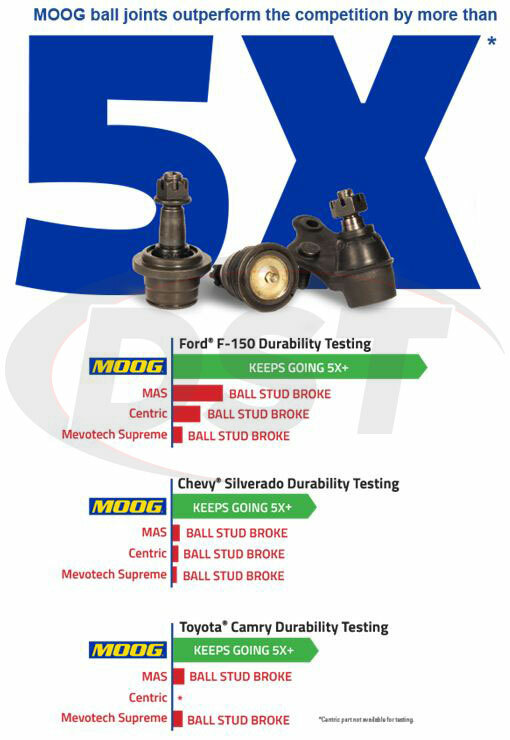 If the tie rods and control arms are OEM Moog package deal 068 will fit. Because of the 6 inch lift it does may cause durability issues with the tie rods and upper ball joints. Will kit # 068 the front end rebuild kit fit my truck, it shows 2001-2006, but no 2007? No the Moog packagedeal068 will only fit up to a 2006.